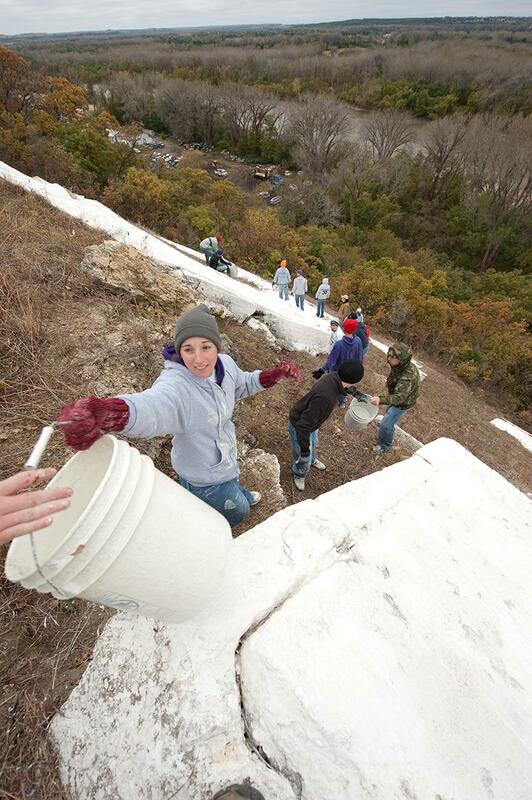 A longstanding community service project of Tau Beta Pi is the upkeep and cleaning of K-Hill. 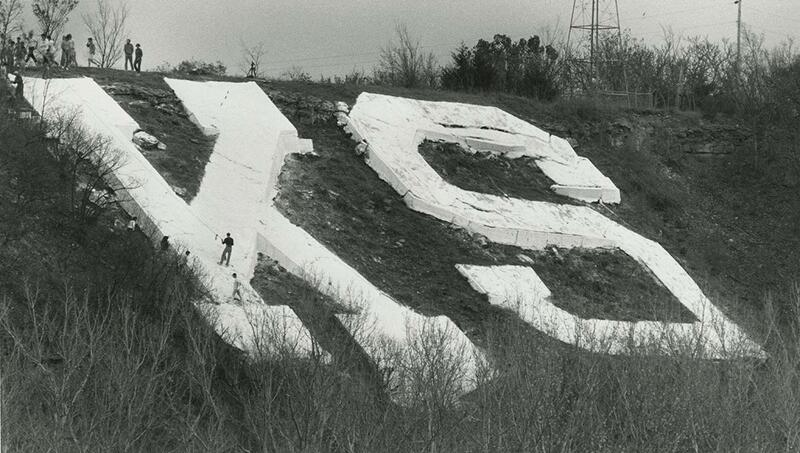 Each fall since 1974, members have spent a morning clearing brush, picking up trash, and whitewashing the iconic concrete “K” and “S” letters south of Manhattan on the west side of Highway 177. 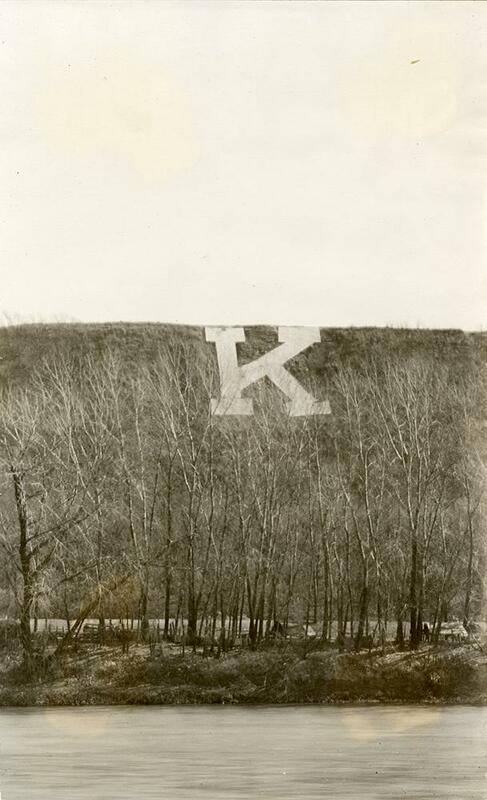 Construction of the “K” dates back to the 1920s when students at the then-named Kansas State Agricultural College, or KSAC, wanted to erect a letter "K" on Mount Prospect — later known as KS Hill, and today as K-Hill. One class had even gone so far as to shape a "K" from loose rock, which hadn’t lasted too long, so the next plan was for a reinforced concrete letter. The Civil Engineering Society took the lead in promoting construction of a permanent “K” and the General Engineering Seminar voted funding to build it after the society’s initial idea of each civil engineering student paying 50 cents failed to raise enough money. 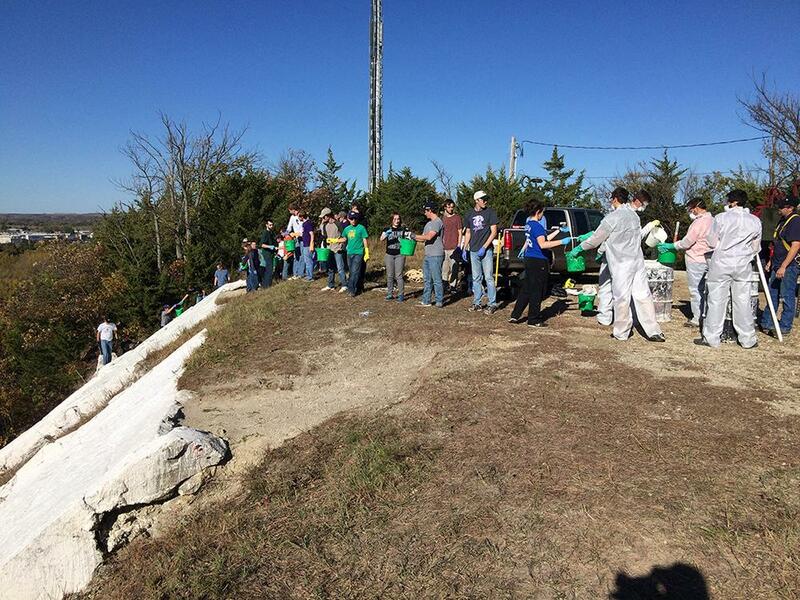 Under the new plan, the project was opened up to all Division of Engineering students, who added to the donations. 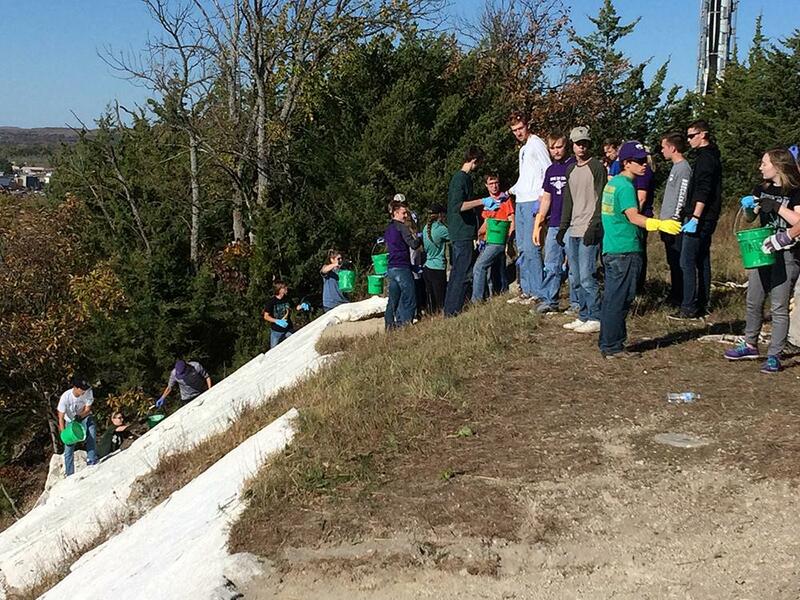 Ash Grove, Bonner Springs Portland Cement and the Manhattan Chamber of Commerce provided supplies for the construction project. Materials included 210 sacks of cement, 50 cubic yards of sand and crushed rock, cement lugs, railroad rails, heavy wire/cables and a bronze star to be placed in memory of KSAC students killed in World War I. 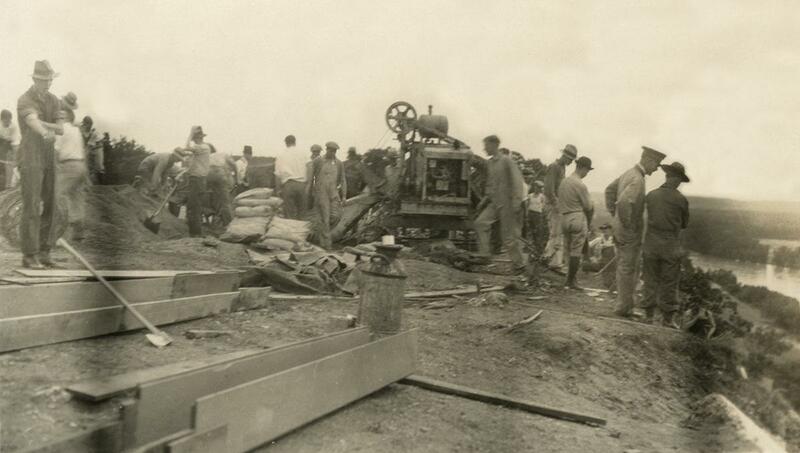 On May 19, 1921, all engineering freshmen and juniors were excused from classes and gathered in Aggieville at 7:30 a.m., along with wagon teams to haul water and a marching band composed entirely of engineers to serenade the group en route to the construction site. 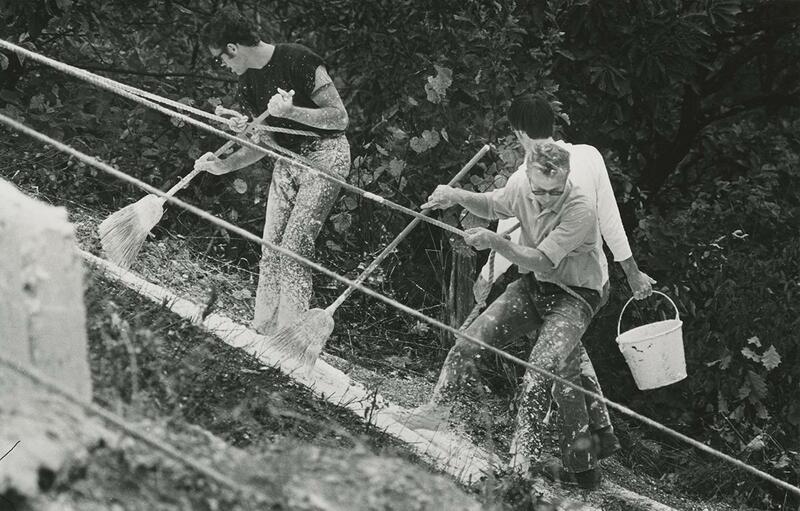 The morning workers prepared materials and set the forms for the “K.” That afternoon, sophomore and senior engineering students left classes to reinforce the letter and pour concrete. 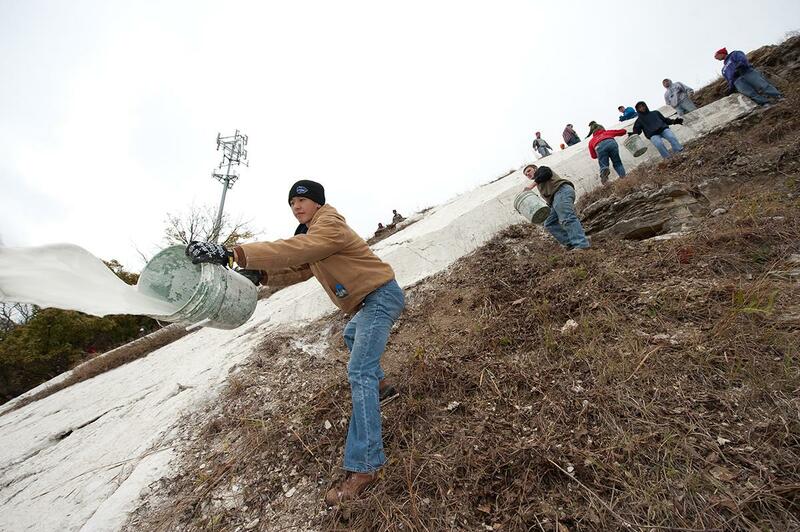 With the help of other volunteers as well, the letter was completed the following day. 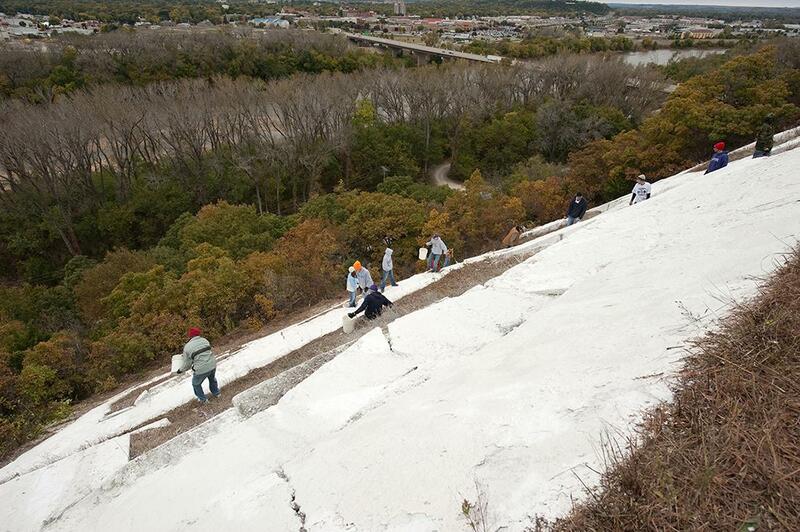 Students were enthusiastic to add an "S" to the hill immediately, but nearly 10 years passed before the Sigma Tau Engineering Honorary Society began organizing this phase of the project. Costs this time were estimated at $500, and after major efforts — including sponsoring tag days, movies, and boxing matches, and seeking donations from everyone from faculty to businessmen, and even $125 from the General Engineering Seminar treasury — the money was raised and the “S” was erected on May 10, 1930. 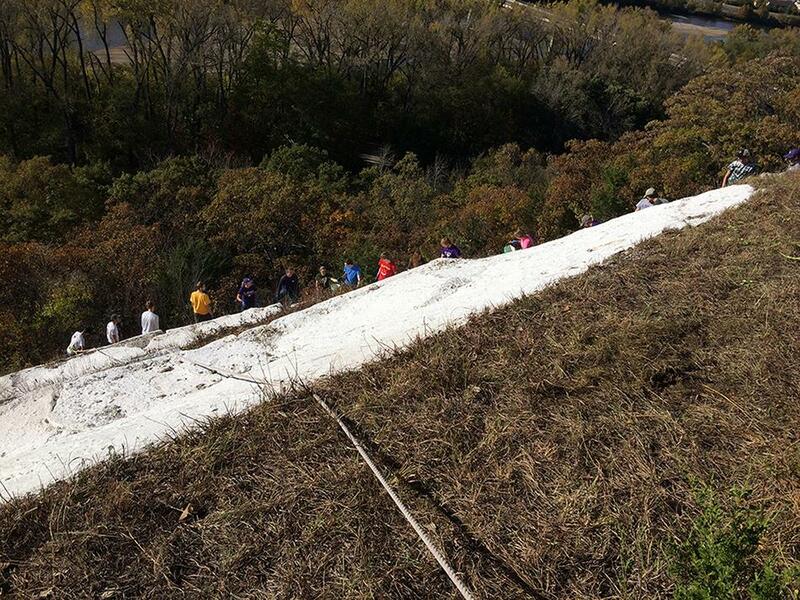 In the following years it became tradition for incoming freshman engineering students to hike Mt. Prospect to whitewash the letters. 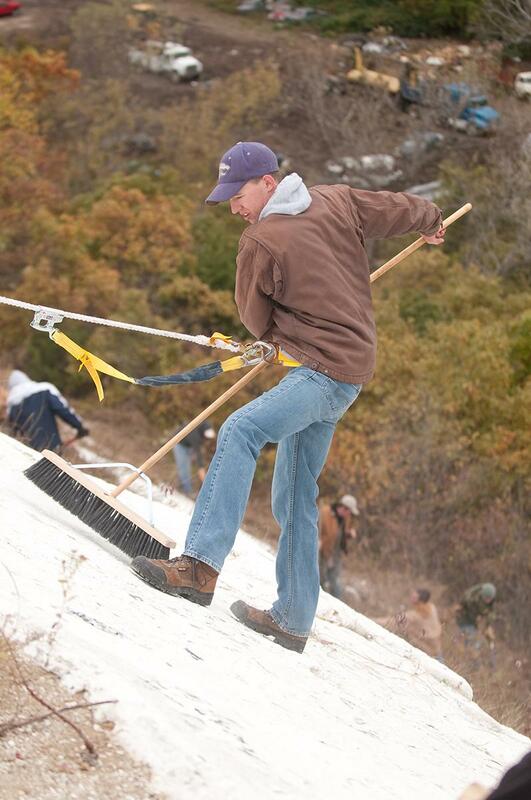 In later years, Sigma Tau took over maintenance of the letters, and when this organization began to lapse in the 1970s, the Tau Beta Pi Engineering Honorary Society was formed and resumed care of the hill. The land on which the letters were constructed changed hands several times over the years; however, no clear agreement had ever been produced assuring engineering students the right to maintain the letters. 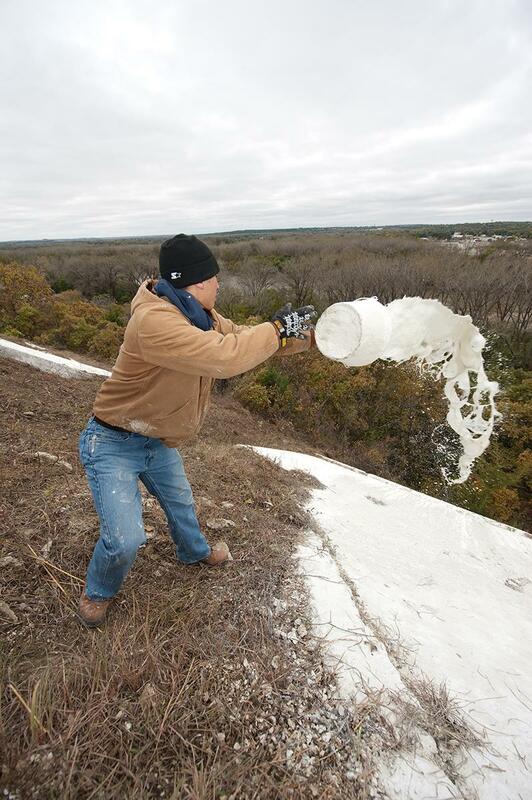 A movement to acquire the title to the land was begun by Sigma Tau in 1937, but sufficient funds were never available to buy the entire 28-acre tract. 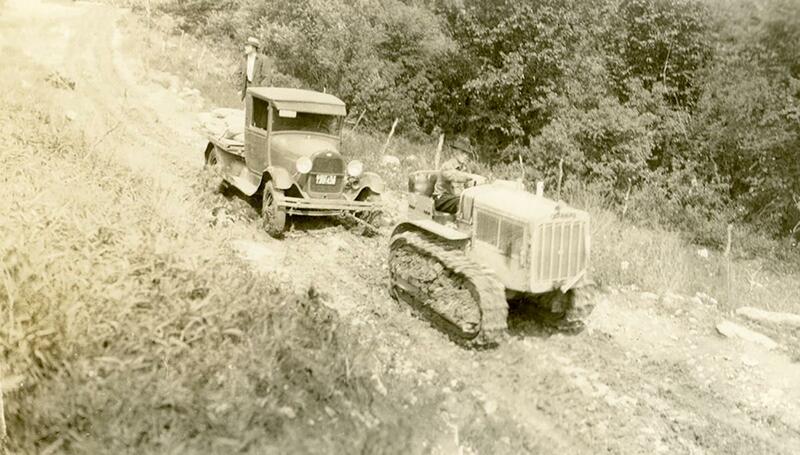 After efforts failed to have the section set aside as a park, a practical solution was agreed to in 1946. 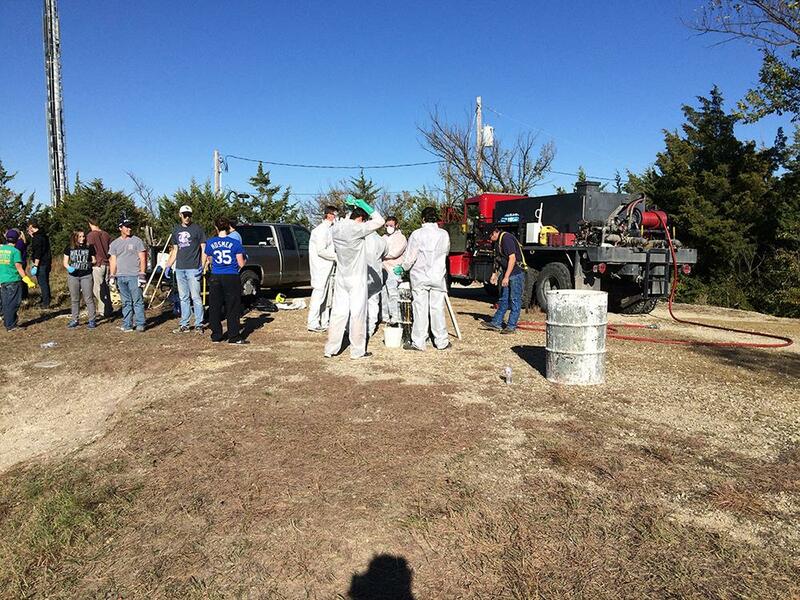 In exchange for the 220-foot strip of land, which included enough space for adding a letter "C," plus easement rights permitting entrance at any time, Sigma Tau members agreed to survey and subdivide 30 acres of property for the current landowner. This was completed before the end of the 1947 school year, with students working on the task many Fridays and Saturdays. In an all-school assembly on Oct. 16, 1947, the deed to the land was presented to KSAC by Professor L. V. White, faculty adviser to Sigma Tau and consistent promoter of the project over the previous 10 years. President Milton Eisenhower accepted for the college. 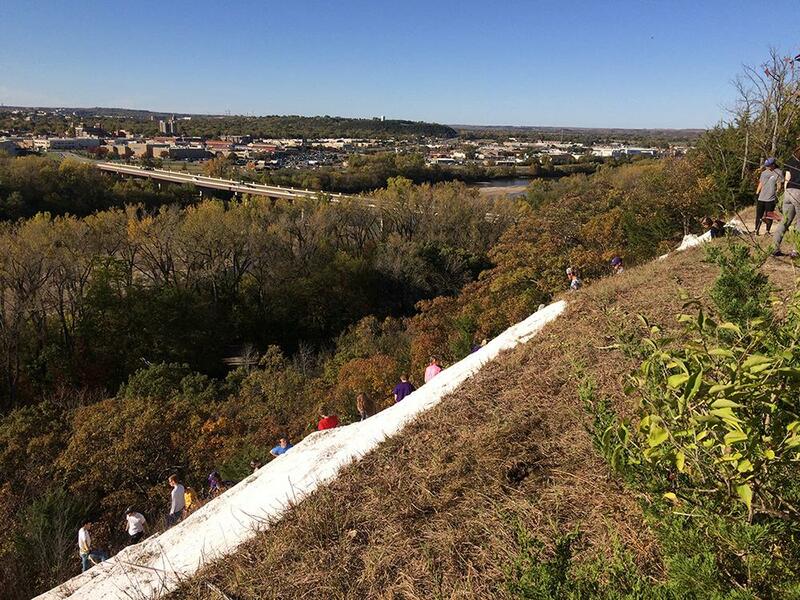 Special observances over time have added to the lore of K-Hill. In 1947, as a homecoming project, Sigma Tau lit the letters for three hours, from seven until 10 p.m., to serve as a symbol and guide to returning alumni. The letters were lit through an arrangement with the military science department, where a searchlight was beamed from Sunset Hill across Manhattan onto the letters. In the early 1950s, the hill was lit to mark the beginning of Engineering Open House. 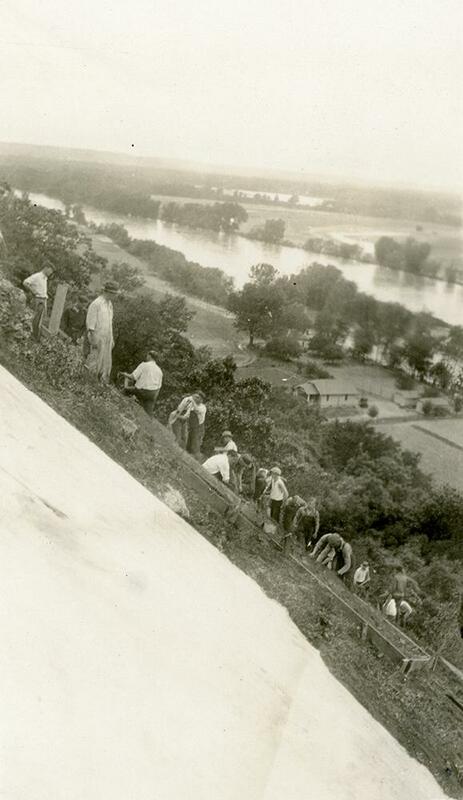 Twelve athletes, each running about a quarter of a mile, carried a lighted, oil-soaked torch from Engineering Hall in Seaton Hall to K-Hill, where more torches lit up the hillside for several hours. For many years it would be a tradition for the "KS" to be changed to "KU" just before the two schools would play each other in football. 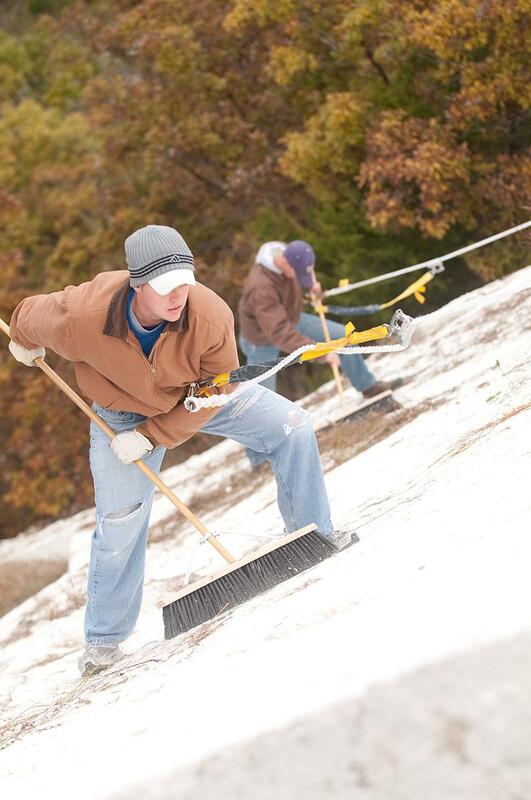 In the 1930s, it became the KSAC engineering students’ responsibility to guard the campus and KS Hill from KU students bent on this task.